The trail Corridor is nestled in the rolling meadows and green mountains of the Moshannon Valley, atop the Allegheny Plateau, extending over 10 miles through southern Clearfield County, from near the PA 53 crossing at Coal Run Junction west of Osceola Mills, to a point south of TR550 near Banian Junction. The roughly 7-mile center section of the trail is paved with fine packed crushed stone. The end sections of the trail, composed of cinders, sod, and ballast stone are recommended only for the more aggressive mountain biker and hikers. Parking is available in lots at the BiLo supermarket east of Houtzdale and in Smoke Run, as well as on streets at crossings. 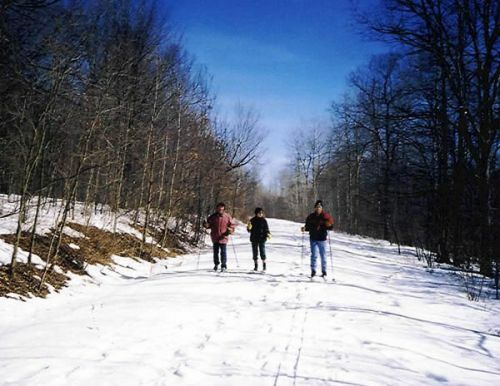 The Pennsylvania Railroad began building the tracks into the Moshannon Valley in 1860 to exploit the abundant timber and coal reserves of the area and reached the section that is now The Houtzdale Lines Rail Trail around 1870. The railroad was closely aligned with booms and busts during 130 years of the area economic history and contributed to dynamic social changes. President Benjamin Harrison was probably the most famous person to travel the line where, on a tour of the coal fields, he stopped to address the citizens of Houtzdale. Many current residents can trace the arrival of their less famous ancestors to the trail stations that sprang up with the towns along the line and provided the most dependable passenger transport until the advent of the automobile. The Houtzdale Line Rail Trail is the only on of its kind in southern Clearfield County. It provides a green linear park facility, allowing travel off road through the various communities and countryside, revealing a combination of historical, cultural, and biological richness with the entire spectrum observable from one central path. 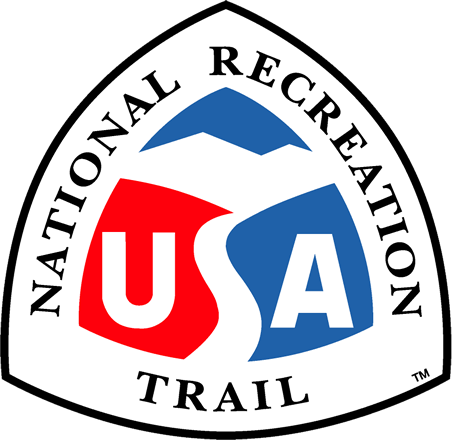 Through the use of cuts and fills, the trail grades range from flat to less than 3%. From the east, the trail passes on an old siding and tipple, emerging from the edge of a beaver dam area along the Beaver Run, onto the finished trail and into the Borough of Houtzdale, past the old PRR rail station where President Harrison arrived, behind the former Eureka Mine Company store and Alley Popper station. The Trail continues west through the countryside past more old mine sites to Ramey, which is the highest point on the trail, and the site of a former station, now only marked by footings. The DK Ramey sawmill, which predated the railroads, stood in Ramey and was converted to the main shops for the Alley Popper, a narrow gauge line that paralleled the PRR and succumbed to the competition and hard times in the 1930's, burning to the ground soon after. Westward, the trail passes old mine sites and through its most scenic and wild areas where intermittent waterfalls, a monkey drip and diverse plant and animal species border the trail as it descends to the Muddy Run bridge and into the Smoke Run parking lot, where the station once stood. Rough trail continues from Smoke Run across a bridge through the flood plain, past an active coal processing plant and ending near Banian Junction. Houtzdale Line Rails to Trails Inc.